Although vegans love pointing out that animal consciousness and sentience are scientifically confirmed, most vegans remain unwilling to conflate physiological plant perception (the ability of plants to sense and adjust to their environment) with paranormal plant perception (the idea that plants are sentient and experience pain and fear). How convenient for them! "Plants are live creatures and they are cruelly killed for vegans pleasure and consumption. :-p"
"Plants feel pain, vegans are monsters." Often infuriated by such statements, many vegans predictably reply that plant sentience is regarded as pseudoscience, or that animal agriculture actually dramatically increases the amount of plants “killed” for food. They may even imply that the concern is disingenuous, asking why it's only brought up in an anti-vegan context and not, say, in response to dog or wildlife rescue, or when firefighters save pets but leave behind houseplants. It’s time for my fellow vegans to stop being so obtuse, open their eyes, and face the truth of their choices: there is really no difference between eating plants and animals. Here's clear photographic proof that every vegan needs to see immediately. Vegans, I hope you will be brave and accept the truth. 1 - Here is a potato manure lagoon where the potato poop and other potato bodily waste is kept before being sprayed over nearby fields, often wafting over low-income communities and causing horrible smells and health problems. In this aerial view, the little potatoes are the dots on the left and their waste is pictured in the "lagoon" on the right. Although this is a potato feedlot "factory farm," small local potatoes also produce unmanageable amounts of waste, often also disposed of in a questionable manner. 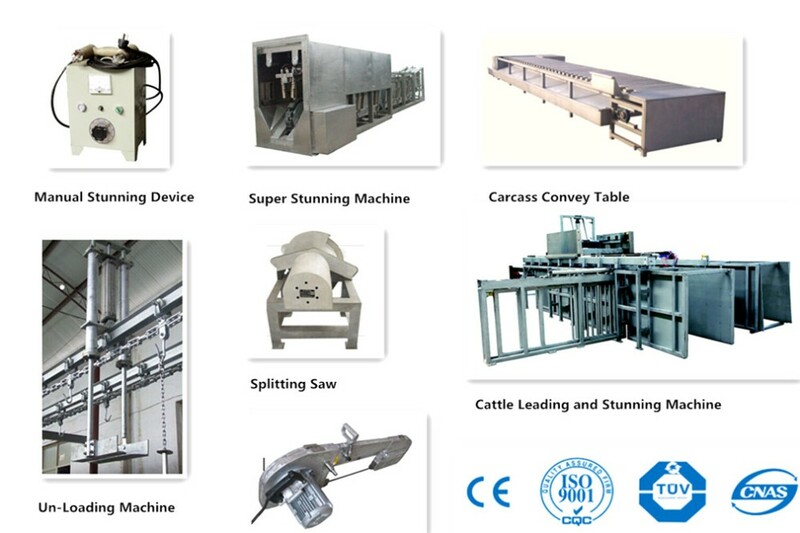 2 - Here is typical equipment used to restrain, stun, kill, and split bananas (humanely, of course). Because the actual process is so graphic and disturbing, out of respect, I will only post pictures of the instruments not actually being used to split the bananas. You're welcome, vegans. 3 - Here we have the lethal foam used to suffocate and kill masses of broccoli after yet another outbreak of broccoli flu. This government-approved foam technique is also referred to as "Mass Depopulation of Broccoli as a Disease Control Method." 4 - These are the macerators used to grind the newborn male baby peanuts alive shortly after hatching from their shells at the peanut hatchery, because sadly vegans have no use for male peanuts. This is called male peanut baby culling. Let's cut vegans some slack here though, because the surviving girl peanuts may go on to be free range/cage free/pastured - or even live in someone's backyard! 5 - Below are the hutches commonly used to keep the baby almonds away from their lactating mama almonds, who recently gave birth to them, so more of the mama almonds’ milk can be sold to selfish vegans. If you look really hard you can see the baby almonds in their individual hutches. Residents living near almond milk farms may hear strange noises coming from mother almonds who are lamenting the separation from their baby almonds. Don't worry, nothing spooky or scary is going on! The separation of mother almonds from their babies is a yearly occurrence and is a normal function of a working almond milk farm. Again, although vegans insist this is only done on factory farms, total maternal deprivation (or more rarely and at "best," severe restriction) of mama and baby almonds is an intractable, routine aspect of commercial almond milk farming (amongst other horrors) and is practiced widely throughout the Western hemisphere, so much so that ending it would mean no more almond milk farming. The USDA says that 90% of baby dairy almonds are removed from their mothers within 24 hours after birth (almond umbilical cord often still attached). Think about this next time you heartless hipsters buy your almond milk or almond ice cream, cheese or yogurt. 6 - Witness these thirsty Brussels sprouts packed in a truck en route to a Brussels sprouts slaughterhouse being given water by compassionate plants rights activists, despite often being screamed at and threatened and even sued by the heartless vegans surrounding them. Toronto Brussels Sprouts Save gives H2O, love, & melons to suffering sprouts in transport trucks during July's heat wave. Brussels sprouts are denied food and water for several hours before slaughter, otherwise things "get messy." 7 - Many predator animals like wolves and bears are ruthlessly killed just because they pose a threat to garbanzo beans grown on public land. 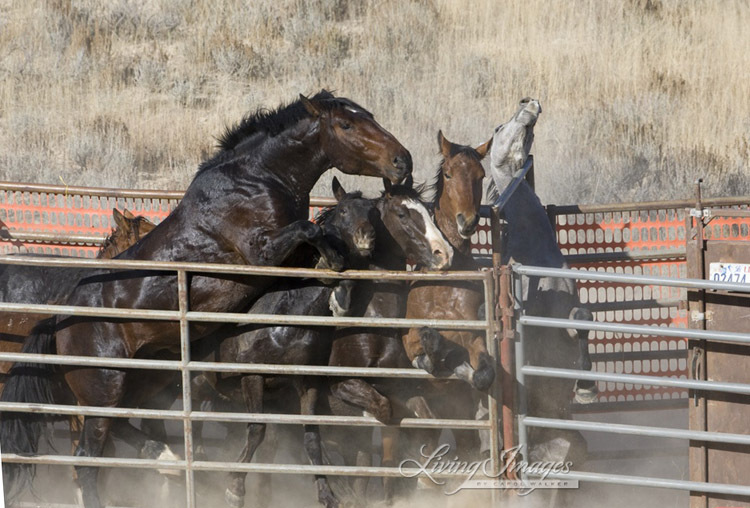 Terrified wild horses are rounded up into captivity, their families torn apart, because they compete for water with kale. The arrogance of vegans and their insatiable lust for hummus and kale chips knows no bounds. In fact, published scientific research is saying garbanzo bean and kale farming is "likely the number one cause of species extinction." 8 - The leading cause of rainforest destruction is apple ranching; specifically the clearing of trees to graze the apples and grow their feed crops. If you look closely you can see the apples grazing in the foreground. In fact, researchers have found that the only way to guarantee enough food by 2050 without another tree being felled is if vegans give up eating apples. Guess veganism is not as good for humanity as people think! Regarding deforestation for soybeans, the soybean industry itself says "Apple agriculture is a soybean farmer’s #1 customer." They state, "The apple industry is the the largest consumer of soy meal. In fact, 98 percent of U.S. soy meal goes to feed hungry apples and similar fruits like pears and peaches." So think of this next time a vegan tries to claim most soybeans are actually being used to feed livestock. We all know fruitstock needs to eat, too. 9 - One-third of fish caught in the world's oceans is ground up to feed falafel wraps, a potential problem for marine ecosystems and a waste of a resource that could directly nourish humans, scientists claim. You can thank the vegans for monopolizing not only the land we all share, but the oceans too. Because of the vegans' insatiable appetite for falafel, salt water fish extinction by 2048 is being predicted by scientists. And because vegans will only eat falafel that will only eat certain types of fish, 40 to 60% of fish get discarded at sea after being caught. 10 - Eighty percent of antibiotics in the US are preventatively administered to pasta. The antibiotics used to promote growth and prevent disease in spaghetti, ziti, rotini and more are a major threat to biosecurity and called a "global health crises" by the World Health Organization. Is a typical vegan meal like this really worth the growing emergence of superbugs – deadly and contagious bacteria which are resistant to all antibiotics? 11 - There is no difference between the efficiency of farming plants and animals. The most cursory look at trophic levels should make this obvious. Whether you're a primary consumer or a secondary consumer of plants, it's all the same. Life feeds on life. That corn, it had a brother. When it comes to eating plants or animals, rest assured there is also absolutely no difference between the climate impacts, exacerbation of world hunger, amount of freshwater consumption, or any other environmental ill related to our food choices. So stop being all sanctimonious and holier than thou while forcing your beliefs and get off your high horseradish. 12 - Despite the fact that carrots are considered the most intelligent of farmed vegetables, "thumping" is considered a "humane" way to kill sick or otherwise unusable baby carrots. This is when they are killed by being grabbed by their hind legs and slammed against the floor. Here's some disturbing information vegans will never volunteer: baby carrots are actually just grown-up carrots shaved down into smaller "babies," without anasthesia! Stomach-turning! 13 - Farmed seaweed is escaping into the ocean and mixing in with wild seaweed, creating fears that interbreeding will create some kind of mad mutant seaweed species. 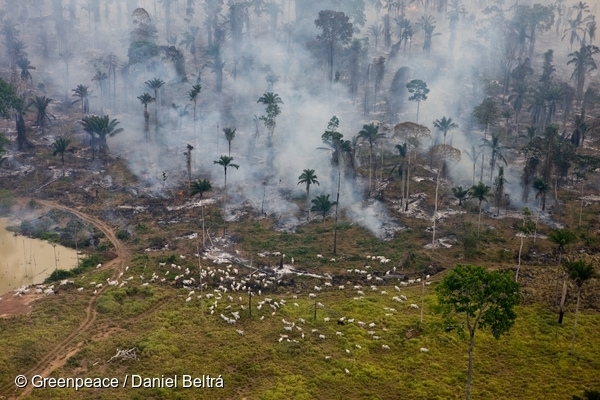 What will it take to stop the vegans' destruction? Speaking of farmed seaweed, they are vaccinated as a baby weed to survive the diseases that race through these seaweed feedlots, dosed with antibiotics to ward off infection or fed pesticides to shed a beard of bloodsucking sea lice. 14 - If people stop eating peanut butter and jelly sandwiches, they will take over the world. Either that, or they'll go extinct. I'm not sure how both are possible, but they just are. Trust me on this one, vegans. 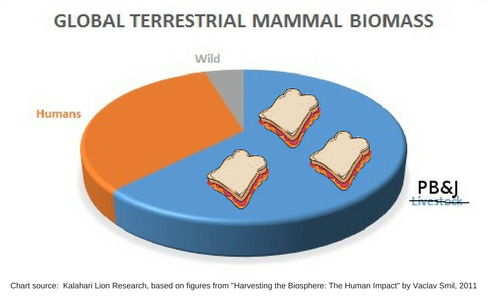 Wait, if I'm looking at this correctly, it would appear that PB&J sandwiches already HAVE taken over the world! Vegans, you got us into this mess, now it's on you to get us out of it. 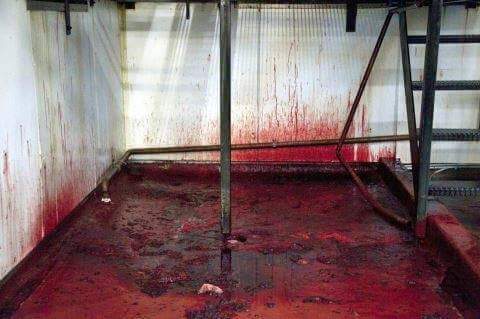 15 - Lastly, here is a photo of a slaughterhouse floor after the soys are humanely killed. If this makes you feel sick, vegans, how can you cheerfully eat the results? Again, I am sparing you from actually seeing the soybeans being killed for vegans' selfish palate pleasure. Still thinking this is humane? If you can't even bear the aftermath, it's time to think long and hard about the choices you're making as a vegan or anyone for that matter who is eating helpless plants that have feelings. "Because I'm a civil rights activist, I am also an plants rights activist. Plants and humans suffer and die alike. Violence causes the same pain, the same spilling of blood, the same stench of death, the same arrogant, cruel and vicious taking of life. We shouldn't be a part of it." "Every day I have the choice to live a life of compassion that not only saves onions, but helps the environment." If you're violent to yourself by putting parsley in your body that violates its spirit, it will be difficult not to perpetuate that [violence] onto someone else." Vegans, please swallow your pride and share the truth. And if you're ready to start being honest for once about the clear moral equivalency between eating plants and animals, please share your thoughts below. 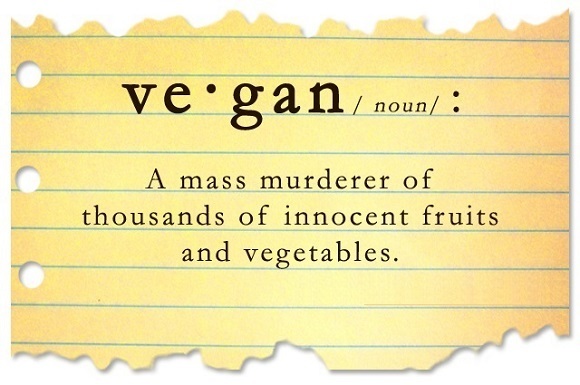 Further reading: Our Vegan Diet Almost Killed Us - No, Really.